I cannot believe I am going to say this, but here goes....... I am excited for fall to arrive! There, it's said! With the summer being so brutal this year, and the lack of rain, I am ready for some cooler weather and all that comes with it. I am looking forward to the gathering of neighbors in someones backyard around a fire pit, and the roasting of marshmallows for smores. I am ready to wear Sweatshirts and shorts, and bulky sweaters and leggings. 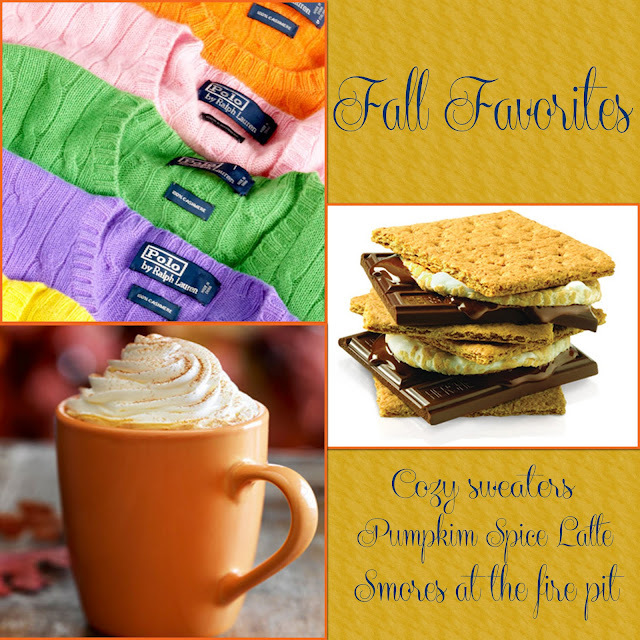 And lets not forget everyone's caffeine addictions with the fall obsession of Pumpkin Spice Latte! Are you as ready for fall as I am? What do you love most about it? love that sweater + those shoes! fall better be here soon, im ready for my chunky sweaters! I'm not usually so ready for it, but this year I'm totally looking forward to fall! I can't wait for hot chocolate, and definitely s'mores on the fire pit too since we just built one in our backyard! oh this makes me so excited for Fall to arrive!! love the chunky sweater + am really craving a smore (or ten) now. I'm a new follower, love your blog! I love the idea of s'mores around the fire pit in that cute outfit! Just would have to be careful with the melted chocolate!